I'd apologize for the amount of time since my last concept, but it seems I always take this long nowadays. 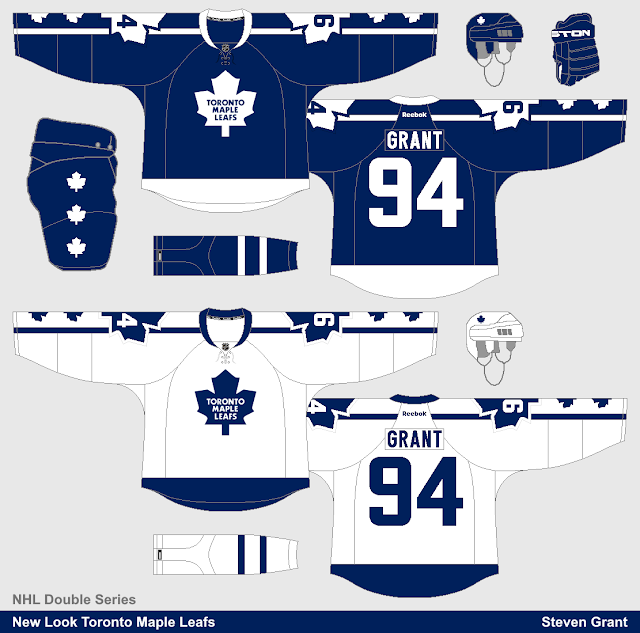 I don't dislike the Maple Leafs new jerseys, but they're not my ideal look for them. If I was in charge, I would base the Leafs' jerseys off of their 1958-67 set. I choose their new number font mostly just to try it out. 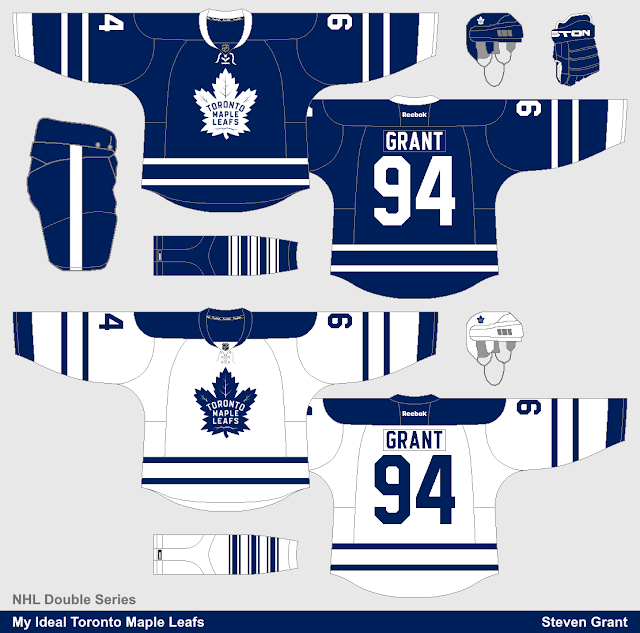 For some reason I had the idea to add giant maple leafs behind the sleeve numbers. Then I added more leafs lower on the sleeves, and on the pants.